Content managed website for performing arts support group. Strange Town offers opportunities in the performing arts to young people aged 5 to 25. They believe everyone has creative and artistic abilities, and they help young people to recognise and develop these abilities through peer and professional encouragement, participation and example. They create work of the highest quality that is daring, exciting and entertaining, performing new pieces written in-house by their own team of writers. It has been a pleasure working with Infinite Eye. They have created a website that we are really happy with, reflecting everything Strange Town is about and in a really user friendly format. It’s great to know that any queries are responded to straightaway and very clearly. The team are friendly and very approachable. We would definitely recommend Infinite Eye! 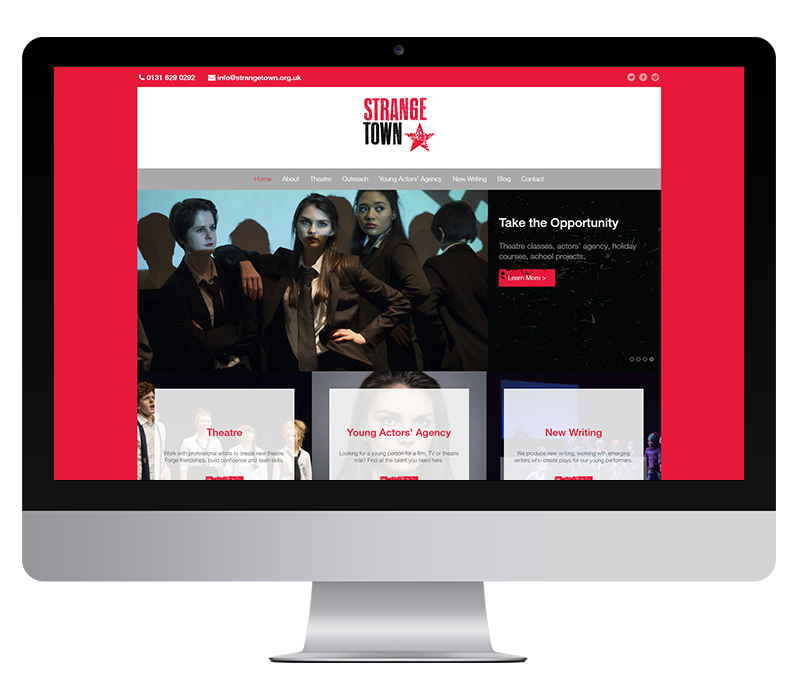 For Youth Theatre and Young Company members, Strange Town also runs a Young Actors’ Agency which puts them forward for theatre, film and TV roles. 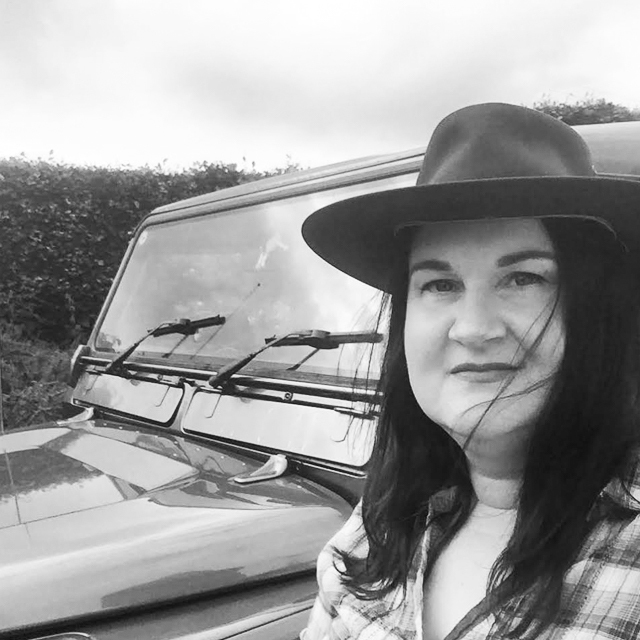 We created a bespoke WordPress solution that allows Strange Town to manage profiles in house. 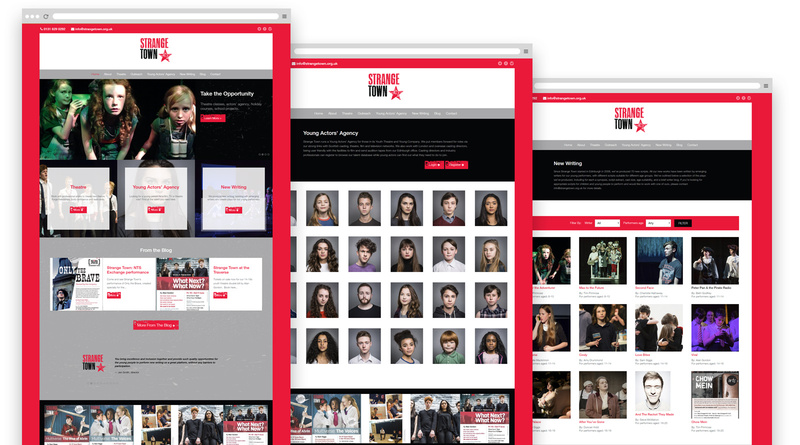 Casting agents can register for access, and once approved they can browse through the profiles, creating a shortlist.